The fourth annual symposium on Shipwrecks, organized by the Niagara Divers' Association, a Niagara-based dive club of about 50 members, was held on Saturday, February 28, 1998 in Welland, Ontario. The one-day event featured a total of nine multimedia presentations with speakers from Ontario, British Columbia, Michigan, Ohio and Florida giving presentations on Shipwrecks ranging from recreational through to technical requirements, as well as expanding the history of a number of Great Lakes shipwrecks. The program, lunch and refreshments were enjoyed by all of the 450+ attendees. If you would like your name added to the Shipwrecks Mailing List, please fill in and submit the Mailing List Form. Links to all former Shipwreck Symposiums are provided below our Shipwrecks/98 information. 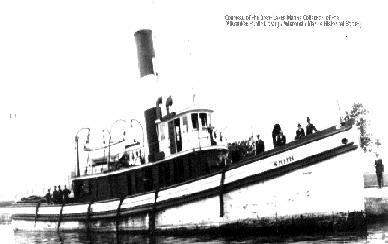 While carrying furnishings for a new hotel in Creston, B.C., the 84' long sternwheeler, S.S. City of Ainsworth, foundered and sank in a vicious storm on November 29, 1898. Occurring on the 75 mile long Kootenay Lake in the southern interior of British Columbia, it was heralded as "A disaster, unparalleled in the annals of the navigation of the inland lakes of Kootenay...". Seven crew and two passengers were lost during two attempts to launch lifeboats when the ship foundered about 3 km from shore. Twenty-two passengers and crew survived by recovering one of the lifeboats, and once ashore the moon came up and the survivors could see that the Ainsworth had beached herself nearby. Unable to secure the damaged ship, she was blown off shore and sank, with no cargo ever salvaged. The Ainsworth was located by a side scan sonar search and ROV inspection in 1990 and in 1997 two Cambrian Foundation divers became the first open circuit divers on the wreck. The dive team made two dives to the wreck and shot video footage of the City of Ainsworth from bow to stern. Today, she rests upright in 360 feet of water, her hull and paddlewheel intact and her pilothouse and upper deck damaged, but still present. Bart Bjorkman was one of these two divers and will present video footage from this expedition. Bart Bjorkman manufactures and markets gas blending systems for nitrox, as well as instructing recreational and commercial divers in nitrox and gas blending. A commercial diver, he is full cave trained and has visited cave systems in Florida and the Yucatan. He has published articles on such diverse subjects as the use of antidiuretic hormone for diving and has been a speaker at technical diving shows. He is presently involved with the Workers' Compensation Board for setting policy in commercial nitrox and gas blending and is researching and writing a course manual for gas blending. In 1997 he was involved in the USS Monitor Expedition as well as the City of Ainsworth. 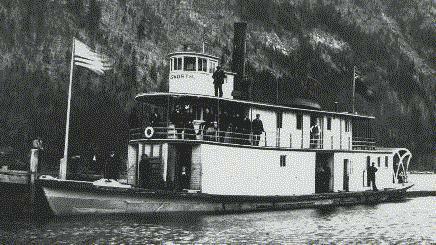 The steam yacht, Gunilda, was on a summer cruise in Lake Superior when she went hard aground. Her perch atop McGarvey Shoal was not fatal, but an ill-fated decision led to her demise. Explore with Matt Turchi and Darryl Ertel the fateful last moments and stunning underwater footage of one of the Great Lakes' finest shipwrecks. 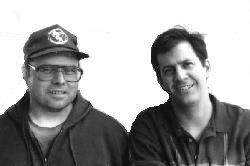 Matt Turchi and Darryl Ertel have been diving the Great Lakes since 1987, concentrating their efforts in Lake Superior. They have both Technical and Cave Diving training and are trained to operate their hyperbaric chamber. Matt enjoys making scale models of the wrecks they dive and Darryl is the Great Lakes Region dealer for the Biomarine Rebreather (BMR 500). Matt and Darryl have been published in Immersed, Sport Diver, Deep Tech and Dive Travel. The Steamer Atlantic, a 267' sidewheeler, sank in 160 feet of water off Long Point, Lake Erie, following a collision in August 1852. The vessel was luxurious in design and carried many immigrants, with their possessions, to a new life in the new world. 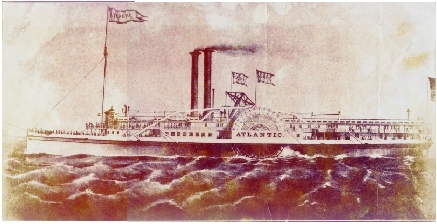 Over the years, several attempts to salvage the Atlantic met with limited success, and she was abandoned for the last time in the early 1900's. 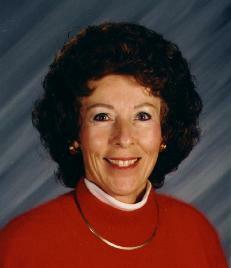 Her location forgotten, she was rediscovered on September 1, 1984 by Mike Fletcher from Port Dover. The name of Mike Fletcher will be linked for all time with the story of the Steamer Atlantic. In the face of indifferent authorities and vague legalities, his fight to preserve and protect the wreck from both amateur and professional salvors has taken a personal toll which most would not be willing to pay. His formation of the Steamer Atlantic Preservation Project is his attempt to document the present and future condition of this historic time-capsule, all at no cost to the taxpayer. A speaker at our first Shipwrecks symposium in 1995, Mike will present an update on the fate of the Atlantic and events to date. Though embroiled in this battle, his ongoing involvement in new adventures and exciting projects has continued. He will be also be providing us with a video presentation of one of these projects, the Squalus. The Squalus was a state-of-the-art submarine launched in the Spring of 1939. On one of her first sea trials, she experienced a failure of an induction valve and sank in 243' of water, trapping 55 men. 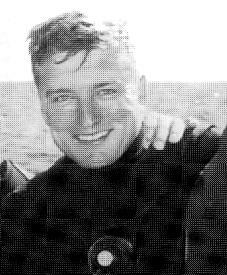 The ensuing rescue operation employed U.S. Navy divers in standard Mark V equipment and the new McCann-Erickson rescue chamber, to bring 33 men to the surface. The rest of the crew, trapped in the flooded after-section of the submarine, had perished in the sinking. The Squalus was raised, renamed Sailfish, and compiled a proud record in WWII. Cinenova Productions, Inc. produced a one hour movie for Discovery U.S. during the summer of 1997. Surface filming was done in Battleship Cove, R.I. The underwater sections of the movie were filmed in Lake Erie off Port Dover, Ontario. Mike will outline this tragedy and give a behind-the-scenes look at Cinenova’s re-creation and his part as a Mark V diver in this exciting production. 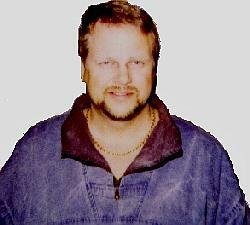 Mike Fletcher is a professional diver from Port Dover, Ontario. Operating from his fully-outfitted 60' dive support vessel, Kenteau, he has done extensive research on many shipwrecks in Lake Erie. Now in his 20th season of commercial diving, he is currently doing work for Aquatic Sciences, based in St. Catharines, Ontario. This program takes the viewer from Thunder Bay, Michigan (Alpena) to Thunder Bay, Ontario (once Ft. William) and provides an interesting travelogue along the way. Viewers will stop briefly at many points of interest along the way, including Historic Fort Michilmackinac, the Mackinac Bridge, St. Ignace, Mackinac Island, Tahquamenon Falls, Whitefish Bay and the beautiful north shore of Lake Superior, with the last stop at Isle Royale National Park. Rich in history and beauty, these areas have been competently preserved and interpreted through museums, tours and parks. However, the average visitor to these areas does not see some of the greatest points of interest: the shipwrecks on the bottom of the adjacent waters. Sites offer representation of ship development - from sails, to steam, to 1,000 foot lake freighters. Figureheads, deadeyes, woodstock anchors and the galley of a modern ship are all available to see. These ships rest as nautical time capsules ... dive into the history of the Great Lakes, both above and below the waterline, on this visit to the Freshwater Seas. 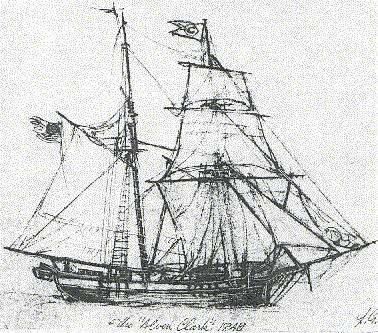 Launched in 1846 and lost in 1864, the Clark was discovered in 1967 on the dark and murky bottom of Lake Michigan. The ship was virtually a submerged time capsule, and was in perfect condition. Could the ship be raised and what would be the outcome? The Alvin Clark became one of the most exciting and yet controversial shipwrecks in the Great Lakes. A haunting story from beginning to end, the odyssey of "The Mystery Ship from 19 Fathoms" will long be remembered. Joyce Hayward is the Vice President of the Association for Great Lakes Maritime History, where she serves as the Chair of the Divers Coordination Committee. She is Vice President of the Ohio Council of Skin and Scuba Divers and chairs both the Legislative Action and the Archaeological Advisory Committees. She was appointed by the Governor of Ohio to serve on the Submerged Lands Advisory Committee for Ohio. Joyce is the President of the Ohio Chapter of Save Ontario Shipwrecks. She is an avid shipwreck diver and underwater photographer, and has given presentations all over the United States and Canada. The legends and lure of Long Point are as long as the point. Once having an actual cut through the origin of the point during the l800's, the point now protrudes as a peninsula a distance of 25 miles from the northern shoreline. Travel by ship on the lakes during the l860's was at an all time high and of all of the lakes, Lake Erie seemed to attract the most activity. The popular run from Buffalo to Detroit often ended in the Long Point area. During the earlier years of shipping, the point was a virtual magnet for shipping disasters. Because the point was a navigational gateway for travel up and down the lake, sail vessels would try to head toward the shelter of the land spit during storms and quite often be driven onto it or founder in the violent seas that can occur here. The early steamers fared not much better, with their limited steam ability of four to five knots in a gale. This left opportunity for navigational hazards in the fierce storms that can erupt in Lake Erie. Shipwreck incidents in this area reach more than 200. Previously, many of these wrecks had not been found and/or visited due to extremely poor visibility and the ever present danger of fishing nets. Now, the zebra mussel population has given us remarkable visibility and laid down many fishing nets. Modern technology has in recent years provided the means for finding these wrecks. Some deeper waters off Long Point have been producing remarkably intact shipwrecks. The tug Smith, with its intact wheelhouse and the Mystery Schooner X, with both masts standing, bring forth the history of yesteryear shipping in the Great Lakes. Dan Lindsay has been diving for 25 years, with six years spent in the commercial diving industry. He worked as Diver-EMT with Canadian-based companies in the Beaufort Sea, Davis Strait and the Great Lakes. Dan is now an Electronics-Electrician by trade, but his greater love is in deep water wreck exploration, video photography and film making. Through his company, SeaView Imaging, he has created video from the Red Sea, the Andrea Doria, Tobermory, The Empress of Ireland and most recently, this historic production on the maritime history of Lake Erie's Long Point. Helping Dan Lindsay to put this video together is John Veber. With his expertise in sailing vessel architecture, historic knowledge of Long Point and underwater photography, John has contributed greatly to the making of this video. 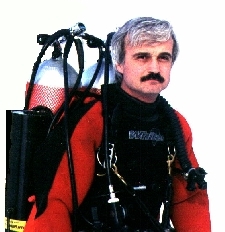 John Veber has been diving for 25 years. John has been an avid underwater photographer in the Great Lakes with shipwrecks being his passion. Some of John's underwater photos have appeared in several books about Lake Erie. 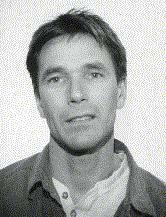 John has participated on numerous licensed archeological marine surveys. 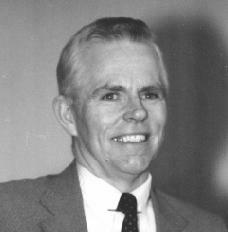 He is also a past member of the Ontario Marine Heritage Committee. The Bay City Times newspaper headlines screamed "LOST OFF POINT AUX BARQUES". From Detroit, the 70' Canadian Tug Fred A. Lee departed on her proverbial last voyage of the year, heading for her home port of Sault Ste. Marie, Ontario. While in the notoriously treacherous waters off the "Thumb" of Michigan, the Lee was to disappear with all hands beneath the surface of Lake Huron. The Fred A. Lee is a mystery of thirteen's: enrolled on June 13, 1896, sunk on Friday, November 13, 1936, and reported lost 13 miles off Point Aux Barques. According to Captain Dahlburg of the Steamer Munson, despite heavy winds the ship arrived at the site of the tragedy within 15 minutes. Munson crew members found only a few items floating in the churning waters. "I am certain that it must have been an explosion aboard the vessel which caused it to sink so rapidly," Dahlburg said. What is the truth regarding the loss of the Tug Fred A. Lee with all hands on that wind-torn afternoon of Friday the 13th, 1936? The final chapter unfolds as we descend into the cold dark waters to uncover her secrets and offer new theories as to the reason for "The Mysterious Loss of the Tug Fred A. Lee". On August 8, 1868, the Dunderberg set sail from Chicago with a cargo of corn and six passengers. The 187 foot three-masted schooner sailed the lakes for only 14 months when, on August 12, downbound to Detroit in Lake Huron, the steamer Empire State brought about her untimely death. Under her sixty foot bowsprit, a figurehead gazes silently into the murky deep. This unique figurehead, combined with her ornate finish work, set the Dunderberg apart from the normal working class ship of the 1860's. Her story depicts a classic wreck, perfectly preserved in the cold depths of Lake Huron. David Trotter is a renowned shipwreck discoverer, deep diver, author, lecturer and photographer. In over 20 years of diving, he has been the first to locate, identify and document over 60 Great Lakes shipwrecks. His shipwreck discoveries and programs have been featured on television and in newspapers throughout the U.S. and Canada. He has written several articles on Great Lakes shipwrecks that have been published in historical journals and national scuba diving publications. Through Undersea Research Associates, founded to present the Great Lakes community with an electronically sophisticated means of underwater search and survey for archeological and commercial purposes, he presents visual underwater time capsules of marine history. Utilizing state-of-the-art side scan sonar, with outstanding skilled operators, the organization offers high resolution bottom profiling at depths to 1,000 feet, underwater site survey and underwater photographic documentation. 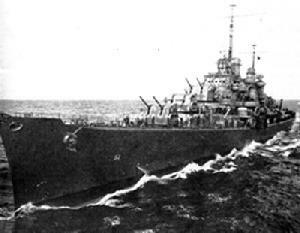 Friday the thirteenth, November 1942 - the USS Atlanta, a light anti-aircraft cruiser, became one of the casualties in a series of epic battles of the Pacific. This ship now rests in Iron Bottom Sound in over 400' of water. The horrific events of that day culminated in the loss of 4 destroyers, 2 light cruisers and many officers and men of the United States. Not previously visited by scuba divers since its sinking, she was explored for the first time in 1996 by Cambrian Foundation divers, who returned the following year. Video footage from bow to stern documents the ship today, with clear evidence of the damage she sustained before her surrender to the bottom. In its effort to educate, research and preserve aquatic resources around the globe, The Cambrian Foundation has initiated efforts to create a Maritime Museum on the island of Guadalcanal, in the Solomon Islands. The Foundation chose Guadalcanal specifically, because it was the sight of a pivotal, six month confrontation, including seven naval engagements and numerous land and air battles. The goal of this project is to establish a museum to honour all of the people who were involved in the conflicts at this time. While many of these historical ships, all sunk in battle like the Atlanta, are out of reach of many recreational divers, diving technology has advanced enough that these brilliant examples of the past are beginning to be scavenged and looted. This fact, joined with the conspicuous absence of any memorial to this conflict, prompted the creation of this Memorial Museum project. Terrence Neal Tysall is President/Founder of The Cambrian Foundation, a federally recognized not-for-profit corporation based in Florida. The mission of the foundation is research, education, exploration and preservation of the aquatic realm. He has organized and led expeditions to various sites the world over. Terrence holds Instructor Trainer/Evaluator ratings with IANTD, NACD, NAUI, NSS-CDS, SSI and TDI.